Self defense is a great way to be able to take care of yourself in the harsh world that we live in today. You can never be too prepared, especially if you find yourself in dangerous situations often. 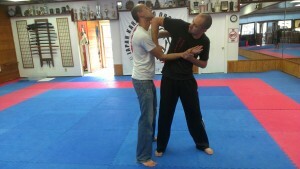 Knowing the self defense art of Krav Maga in San Diego is a great way to insure your safety and give you peace of mind. It is always a good idea to be able to keep yourself safe with the art of self defense, and Krav Maga is a great way to be able to do this. Here in this article we will share with you more information about Krav Maga. For more on Krav Maga classes in San Diego, contact instructor Benjamin Halcewicz at (858) 349-8795. Krav Maga was first started in the Israel army, but has quickly become a great way to defend yourself in the crime ridden cities of today. You may have seen these self defense used on TV or in movies. By mastering the art of Krav Maga, individuals will be able to get themselves out of very bad situations. They will be able to attack their assailant and disable them before anything bad happens. The art of Krav Maga is quick. You will be able to get out of any holds before bad things start to happen. You will then be able to get to a safe place and find help. The instructor Benjamin Halcewicz is one of the top Krav Maga instructors in San Diego. He trained for 10 years under the creator of Krav Maga before bringing his skills to San Diego. He quickly became well known as one of the leading instructors of not Krav Maga in not only San Diego, but all of California. Benjamin also has a degree in sports education. He has trained many to become individuals who can truly defend themselves in the dangerous streets of our nation. His skills are top notch and he is ready to train anyone who is ready to truly master the arts of Krav Maga. If you are interested in learning more about Krav Maga or if you are interested in taking Krav Maga classes in San Diego Ca, contact IKM San Diego at (858) 349-8795 and speak with instructor Benjamin Halcewicz. This fundamentals class focuses on the basic techniques of Krav Maga, with teaching skills on defending against attacks using holds, grabs, throws, and other defensive tactics. This class may also incorporate some weapons training such as defending against an attack involving a knife, bat, or similar object. The focus of this class will be to build your confidence, muscle memory, and basic technique in Krav Maga so that you are well prepared to face any situation. This class will dive deeper into stand up fighting skills with a focus on striking and kicking. You will learn and perfect your skills in punching, striking, elbows, knees, and kicking. Expect this class to be very physical offering a great workout to better your overall fitness level. Private sessions are perfect for anyone who is looking for a training program that is custom designed for them. Classes can cover all areas of Krav Maga with special focus on your particular areas of interest, whether it be the fundamentals, stand-up fighting, ground fighting, or weapons defense. Sessions are typically 1hr in length. This class with focus on fighting and defense from the ground. This will include learning how to defend against attacks from the ground (such as punching, choking, restraining, weapons attacks etc). This will be a class focused specifically on defending against weapons attacks such as, knives, sticks, bats, guns, etc. You will learn how to defend yourself from any type of position or angle.